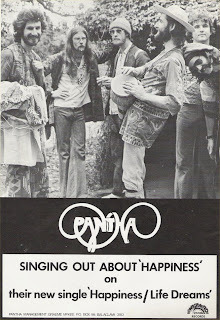 Along with Pirana (another Sydney band in the early 1970's), Pantha were influenced by the Santana hall mark of using rock over a Latin beat. Their music was an unusual hybrid of rock, jazz, Latin American, West Indian and even occasional Zappa-like tracks. Even though these guys were obviously channeling the Osibisa/Santana thing, they were doing it with immense fun. Exuberant frontman Paul Curtis was a good vocalist and flamboyant percussionist and other members, apart from Jack Wilson on bass, included sensational guitarist Roger Pell (ex-Kush), fluid keyboard player Danny Bourne (who later joined Mick Fettes, ex-Madder Lake, and Thank God You're Here's Shane Bourne [brother?] in Bandicoot), and, later, drummer Barry Cram (who went on to play with hard rock bands Avalanche and Contraband). Conga player Peter Lee who later switched to drums was not the same Peter Lee who was drummer with similarly funky band Stylus. The band had one line-up change in their time together, with Barry Cram replacing Adriane Paine on drums and Jose McLaughlin replacing Dannie Bourne on keyboards. 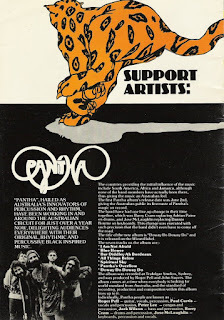 Pantha supported the Doobie Brothers on their "Stampede Across Australia" Tour at Festival Hall, Melbourne in 1976. Their album was recorded at Trafalgar Studios, Sydney and was produced by Roger Pell and John Sayers. My favourite track would have to be 'Bar Diddlyah Bordraux' as it sounds so much like Osibisa, who I also enjoy. This Rip was taken from vinyl at 320kps and includes full album artwork (thanks to Midoztouch). For your enjoyment, I have also included a live track from their JJ concert in 1977 "Rushcutter Bay Heartbeat Reggae", and a later single "Happiness"/"Life Dreams" along with its accompanying publicity poster. 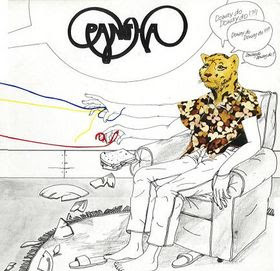 "Doway Do, Doway Do"…as far as I know the bands only full album. Now that's the sound I remember ! Thanks for dropping by Danny - their musical style was certainly 'distinct' and enjoyable to listen to. Pity they were so unrecorded, hey. I used to go to Valhalla in Richmond - they had a double bill of band and film. Pantha were a regular there. Great band, always enjoyed Roger Pells playing. Good stuff. I just spoke to Roger Pell on the phone tonight - he is my daughter's new guitar teacher at a girls' school on the Mornington Peninsula. Hopefully he is a good teacher! It would seem that quite a few of our Aussie 70's - 80's musicians have turned to teaching after their glory days in the music industry. Joey Amenta (Taste) has taught a friend of mine's son - guitar, here in Essendon, and needless to say his mother couldn't stop drooling every time she took him for lessons ! When you speak to Roger next, you should seed the idea with him to approach Gil Matthews at Aztec Records and suggest that they release the Pantha album on CD. See Aztec link under favourite blogs on the left. This classic album would be right up their alley I reckon. Yeah I guess the fame from the good old days doesn't pay the bills! It's great that guys like Roger and Joey are passing their skills on to a new generation. I'll tell my daughter to pass on your message about Aztec or will do so myself if I see him. By the way, this site is fantastic. 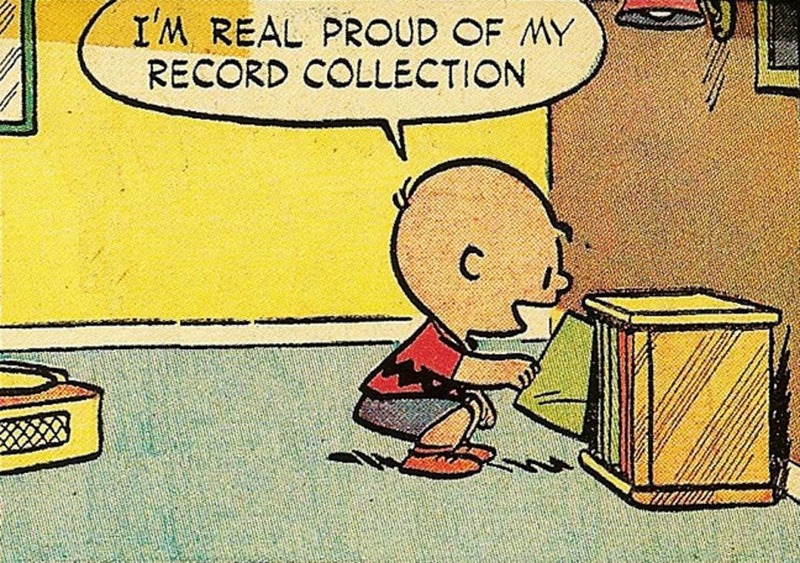 You have obviously put a lot of work into it and no doubt do it for the love of the music, but it really is preserving a lot of history that could so easily be lost. Well done and keep it up!! 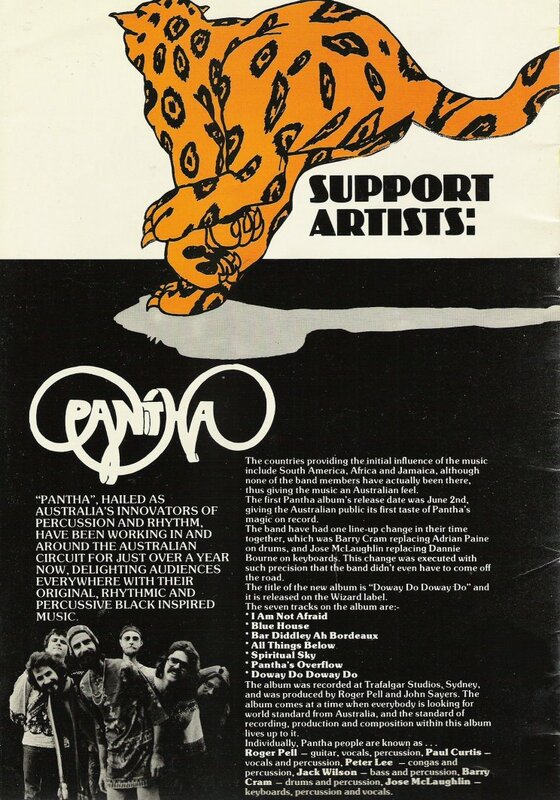 For the record, Pantha had another line up change before they departed the scene around 1976. Peter Lee moved to the drums and Meri Took came in on percussion. Rob Ellis joined on bass. 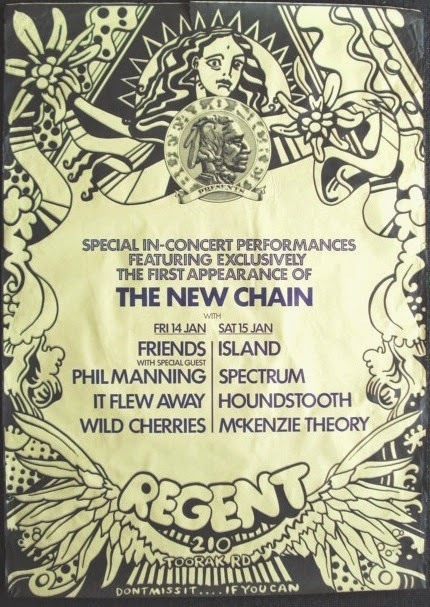 The band relocated to Sydney and played to very healthy crowds, in Sydney and Newcastle. the record company had tried to push them in a commercial direction and they produced a woeful single called "Melinda" which had been a hit in Canada. the original line up recorded Melinda, but broke up before it was released. it was the beginning of the end really. Rushcutter's Bay Heartbeat Reggae was written and recorded (live on JJ) by the new band. Thank you so much for this information - it is always great to get additional facts from original band members themselves. Was Melinda ever released on acetate? If so, do you have access to one and would you be prepared to share it? Thanks Col - happy to assist in your search for those rare Aussie gems. Just let me know what ya looking for and perhaps I can help. I remember Pantha from the old ABC TV 'Radio with Pictures' days... I purchased 'Dowaydo Dowaydo' on vinyl at the time of its release and it remains a firm favourite - I agree that the band was ahead of its time and CD release is indeed long overdue. Roger Pell was a massive influence on my own guitar playing - I'm still trying to do it justice after 40 years. I recall hearing them at French's in sydney -very good- and they had a residency at a bar on Oxford Street upstairs. AND....that was where Jeff "Skunk" Baxter dropped into to jam one nite. anyone remember their more commercial single,'Melinda"///or was it My linda? ?